Special Price - 52% OFF! 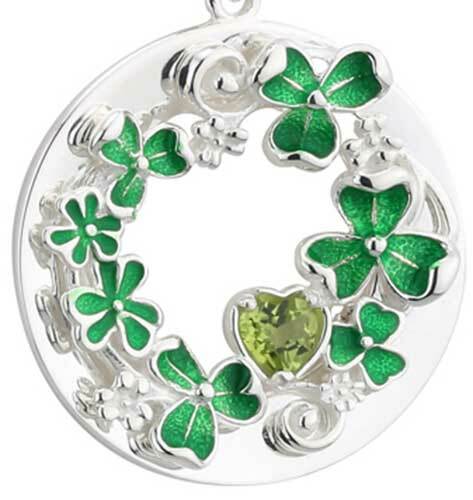 This sterling silver circle necklace features green enameled shamrocks along with a bezel set green crystal heart. 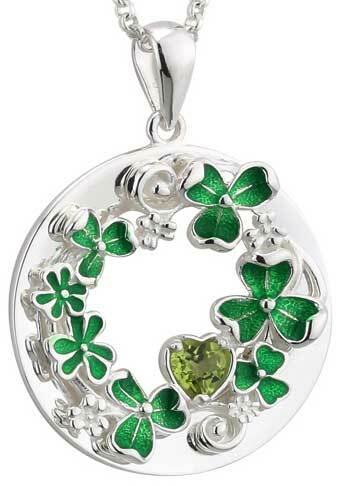 This large shamrock pendant measures 1" wide x 1 1/8" tall, including the chain bail and the jump ring, and it includes an 18” long sterling silver chain.